Are you breaking thru the engagement blahs with push? Gain first-hand insights on how the team behind the SmartNews app uses data to optimize its user onboarding and engagement strategy. You'll also discover why SmartNews views push notifications as a product, not just a channel, based off user feedback and how you can implement similar tactics for your own app. 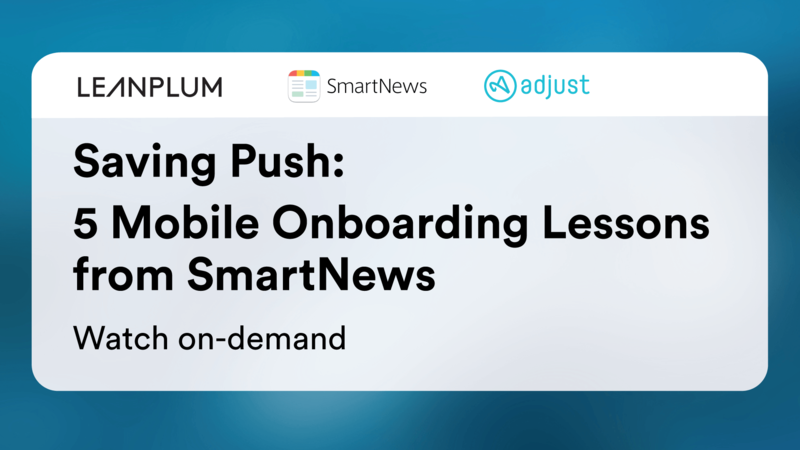 Join Adjust and Leanplum for an in-depth analysis of how SmartNews, the information distribution mobile app with more than 25 million users worldwide, optimizes its push notification strategy through metric analysis. You’ll get a better understanding of why machine learning can’t solve everything and why push priming may not necessarily be the right choice for your app.